Secret Church is our "house church," where we meet periodically for an intense time of Bible study--lasting 4-6 hours--and prayer for our persecuted brothers and sisters across the globe. This is not for the uncommitted or faint at heart. 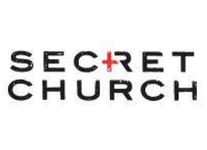 But if you desire to know God more deeply through His Word, and know His Church more fully around the world, then please join us for Secret Church. God will use this focused time of study to enrich our knowledge of His Word as we gain understanding of the state of His Church and our persecuted brothers and sisters around the world. The objective of Secret Church is for you to pass along what you learn to others, so that you can make disciples of Christ--both locally and globally.